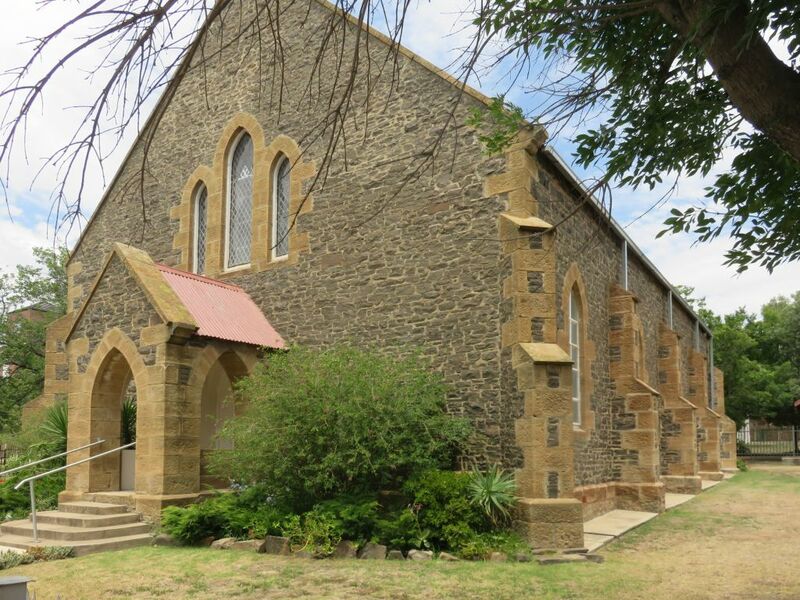 The congregation of Heilbron was first established in 1874, it was seceded from Kroonstad. 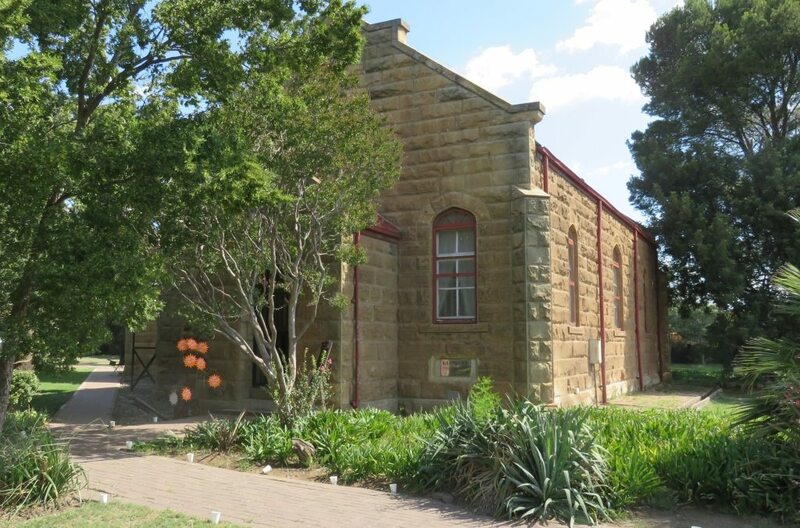 A beautiful sandstone building of the Dutch Reformed church was inaugurated in 1885, the cornerstone was laid by President Brand in 1880. A special mention must be made of the pulpit, seen in the middle of the picture on the right. The congregation of the NG church are very proud of their beautiful pulpit (preekstoel). It has a bit of history. According to the plaque, it was in this church from 1885 to 1963. In 1963 the church was remodelled and there was no place for the pulpit. It was bought by one of the missionary churches (Sendings kerk), but for some reason could not be installed. 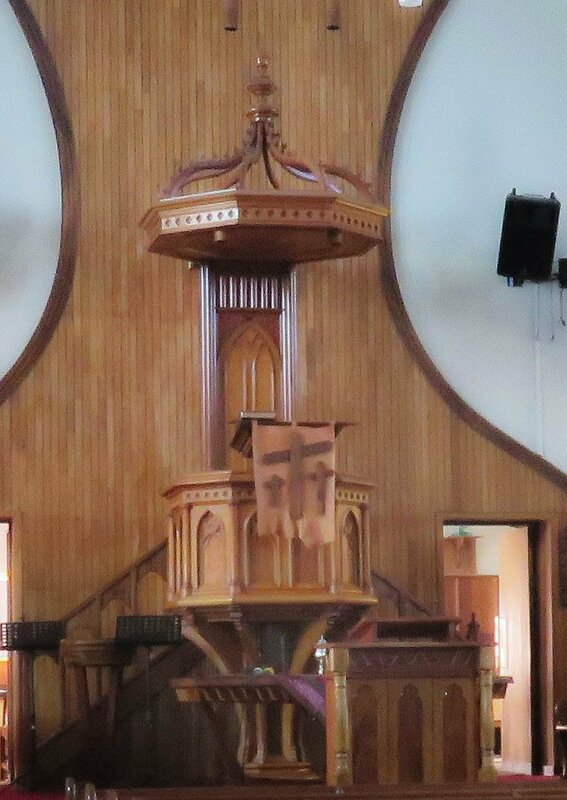 It spent a number of years in storage and was 'found' by Ds PJ Pretorius of Kroonstad, he bought it for 51 Rand, restored it and it got installed in the Morewag church in Kroonstad. 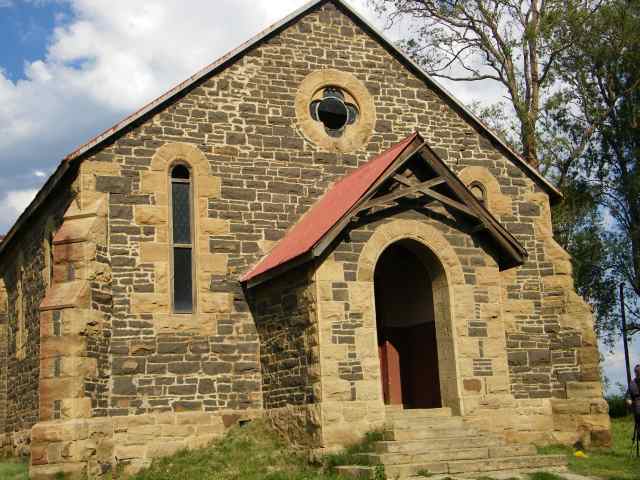 In 2014 the Morewag church was sold and the pulpit advertised in the local newspaper. 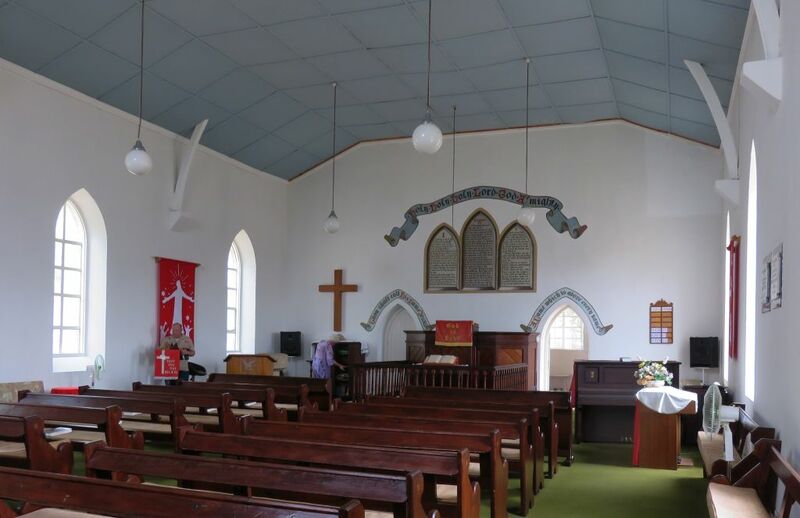 The Heilbron church showed interest and after some negotiation, it was given to them as a present with the condition that it must be re-installed into the church. That was done and the pulpit is back in service. 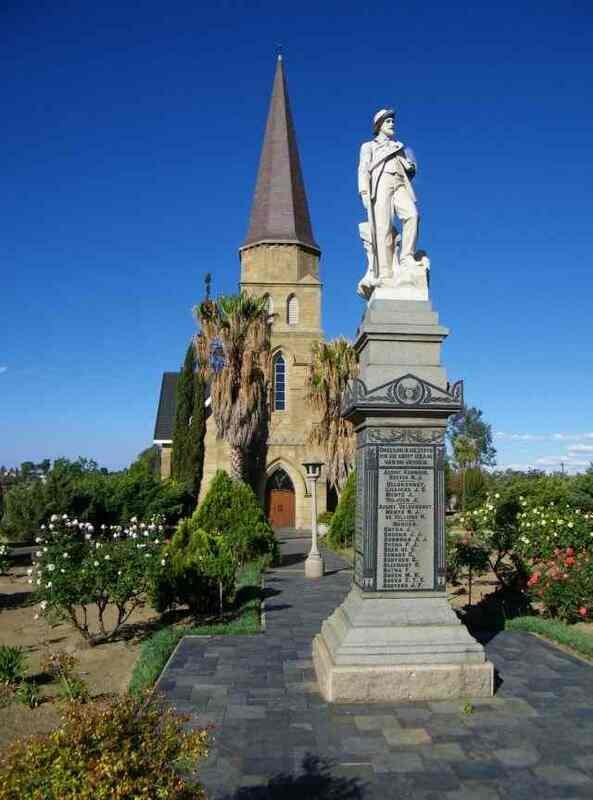 In its grounds is a monument to the Heilbron burgers killed in the Anglo-Boer war. Unfortunately access to the grounds is restricted by a big fence around it. Something that has become necessary for most churches due to littering and vandalism. 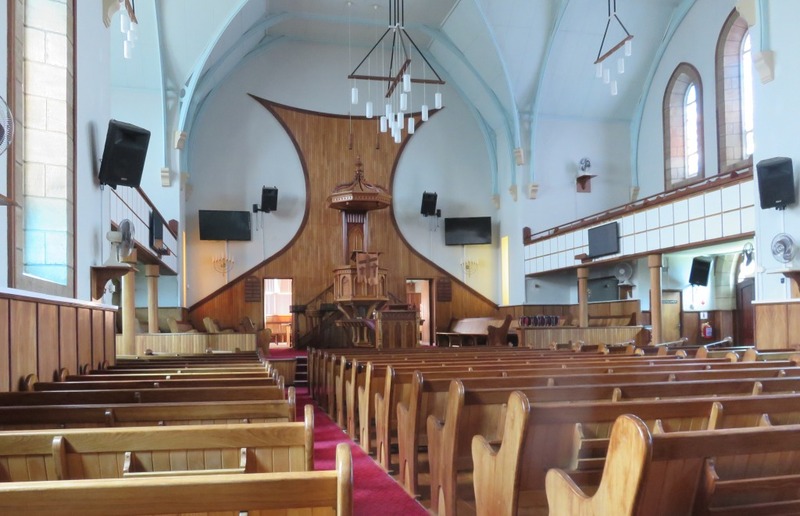 The Methodist church was erected in the same time period as the NG church, which tells something about the cosmopolitan composition of the population. It becomes noticeable when strolling through the cemetery. There are not only Dutch/Afrikaans names, but also English, Irish, Scottish, German, Hollands and Jewish names. 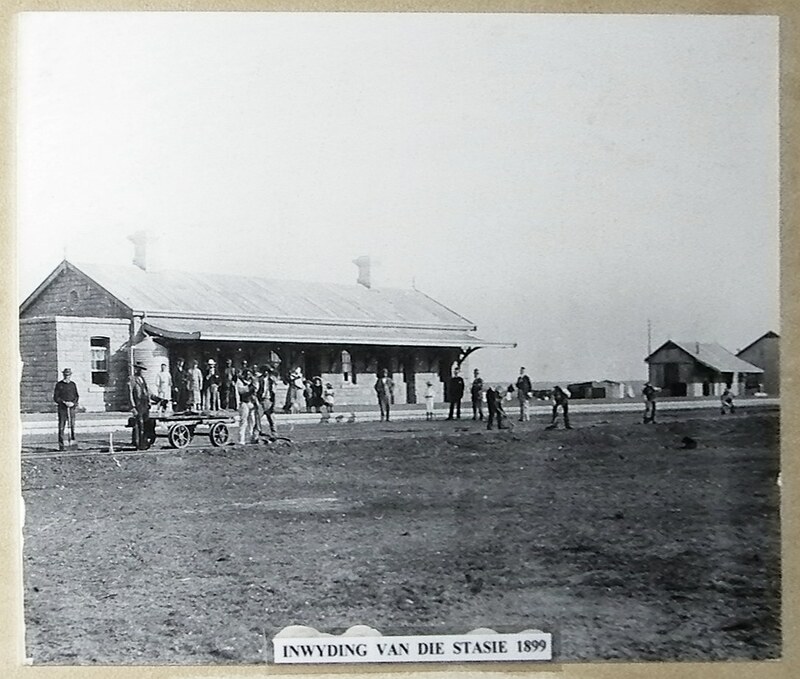 The foundation stone was laid on 28 August 1882 by the then president of the Free State, John H.Brand, the building cost was £2000. Something interesting from the history of the church are the wall paintings at the pulpit. This dates back to the 1920th when John Pierce, one of the leading member at the time, helped a beggar by giving him some menial tasks in exchange for food and drink. And then discovered that this guy had a talent for painting. He commissioned him to paint the walls above the pulpit. The picture shows what he came up with. The panel on the left is the basic statement of believes and the center and right are the ten commandments. That was a surprise find, because it is on the other side of the stream, that would have been the black area. It actually pre-dates the NG church and was, I presume, built by a black congregation at the time. The building is not in use, a new, bigger church was built down the hill. We had a look inside the church which unfortunately is in decay. A pity, with a bit of restoration work this church could be a beautiful building. And just across from the Wesleyan church we found this old building of the Native Presbyterian church, put up in 1910. Judging by the rusty look and the weeds growing around it this building is not in use. It is a corrugated iron building typical of the early 20th century and I would think would qualify for national monument status. 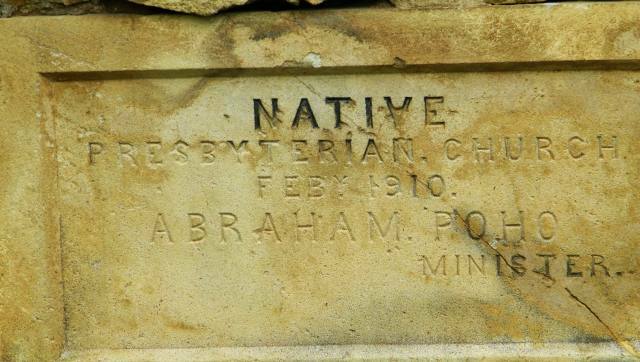 The foudation stone reads: Native; Presbyterian church; Feb.1910; Abraham Poho; Minister. 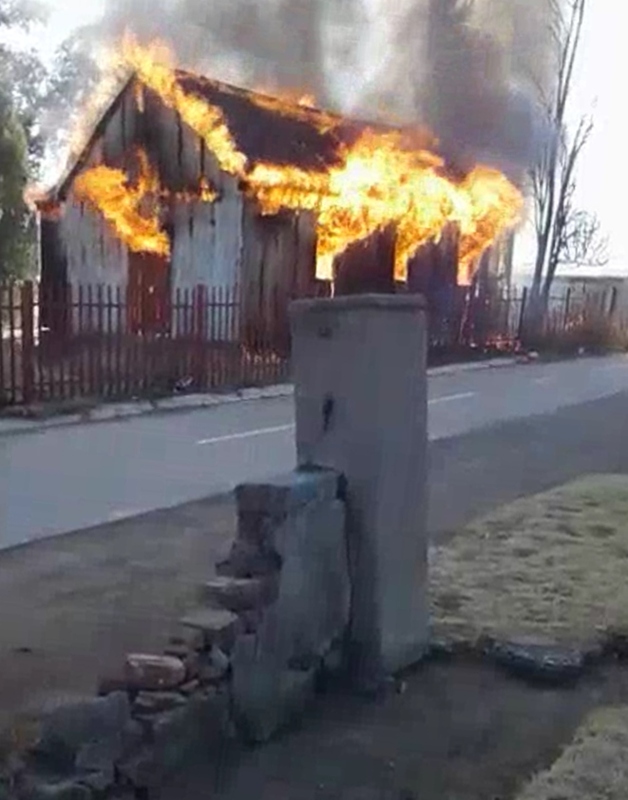 PS: it is now July 2018 and the church has burned down, as reported by the Heilbron Herald. Picture by the Heilbron Herald. Otherwise known as the Klipkerkie. A congregation of the NH church existed since 1911. The foundation stone to this church was laid in 1913, but the building was only finished in 1916. The delay in completion was caused by the First World War and by the rebellion, which had major support in the area. The building is now only used for functions. It is a very nice venue for weddings. There is a more modern church of the NHK at the other end of town. 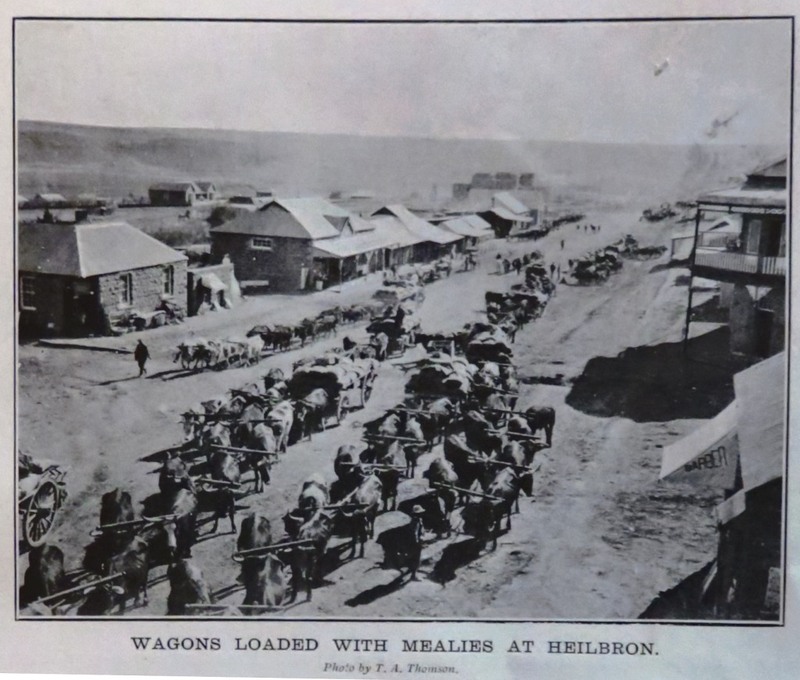 Heilbron was connected by rail to Wolwehoek in 1899. Later the line was extended to Petrus Steyn and Lindley. At the time of writing the rail is not in use and in fact some of the tracks south of Wolwehoek have disappeared (stolen). 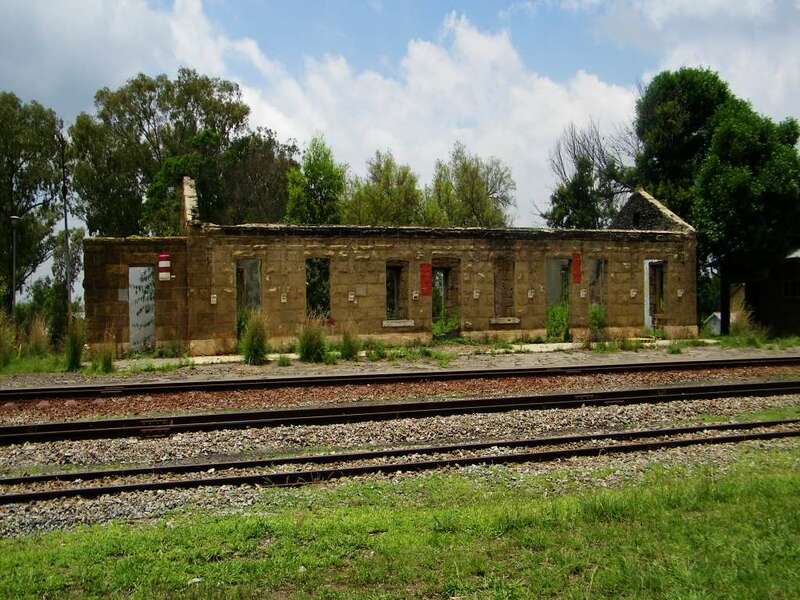 The Heilbron station building has burned out and is only standing as a shell. The picture on the left shows the station in 1899 and the one on the right is the building as we found it in 2010. 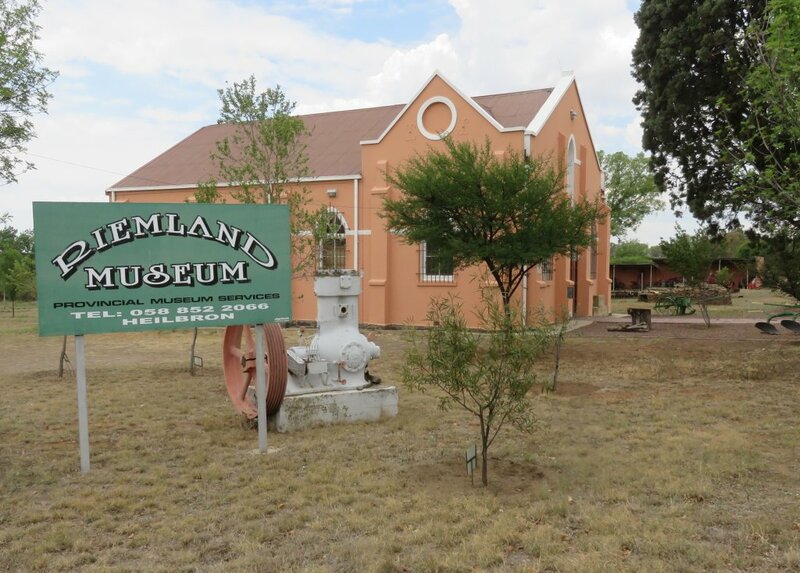 During the Anglo Boer war Heilbron was the capital of the Free State, but only for a few days, after that it was tented accommodation for the Free State government at Presidents Koppie about 18 km out of town on the way to Frankford. 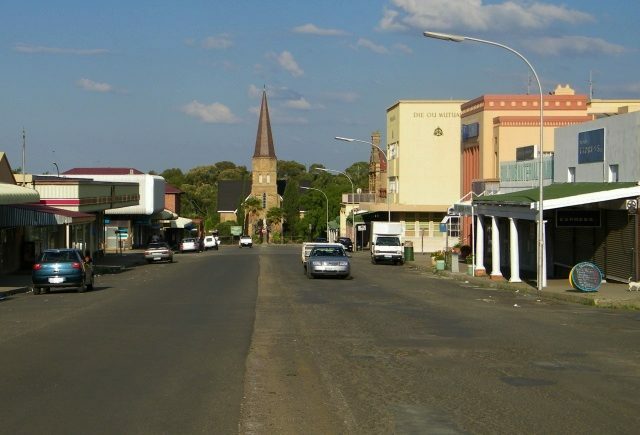 The Anglo-Boer war also touched the town in that it had a concentration camp at a site just across from the Volkschool at the corner Church- and Luyt street. The concentration camp graves are part of the main cemetery. The Riemland museum, is situated in the former synagogue. 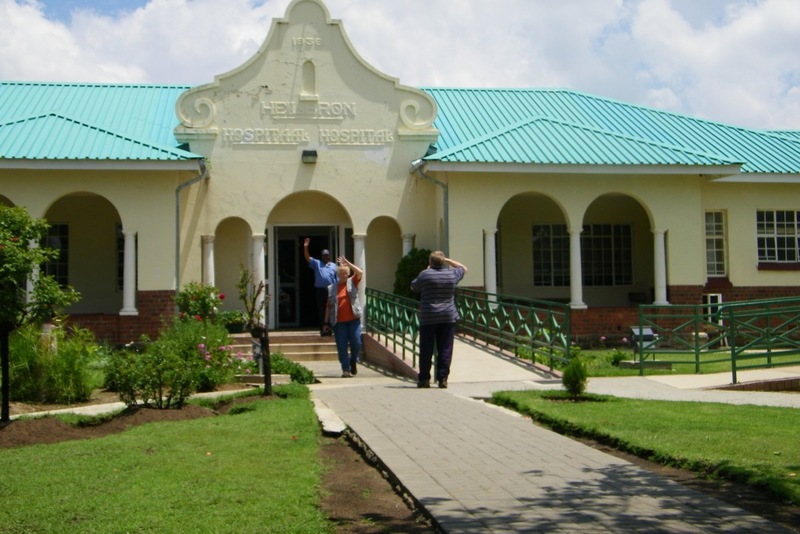 It goes back to the time when there was a fair number of Jewish people living in and around Heilbron. According to the foundation stone the building was inaugurated in 1912. With time the numbers decreased, mostly through movement to the big cities. The numbers decreased so much that eventually maintaining a synagogue was not sustainable. The building was then donated to the municipality to be used as a museum. The curator at the time was Quarta Pretorius, who kept it well stocked and attractive. When she came up for retirement her replacement had to be a person from a different population group. This didn't work out very well and the place went into decline. 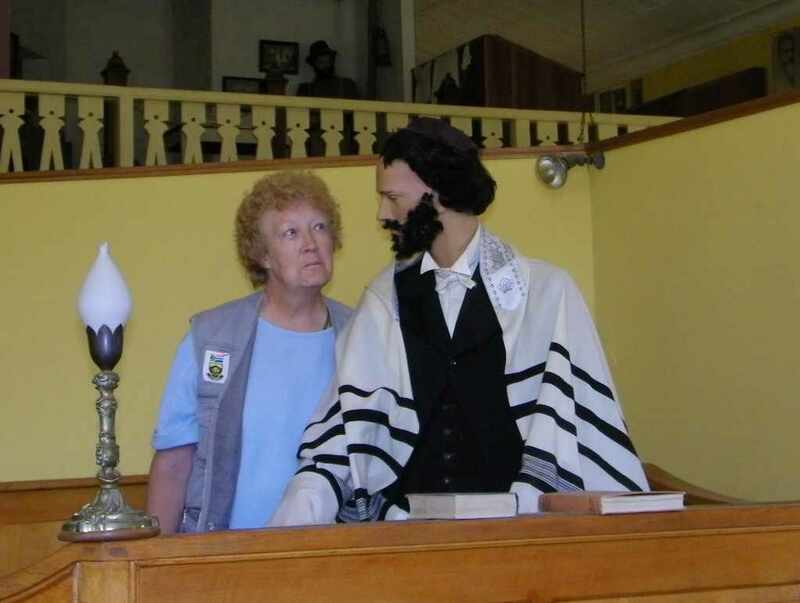 You can see Pat in a heavy discussion with the rabbi about this. Museum services eventually offered the museum back to the original team, now Quarta is back, but as a unpaid volunteer. But, at least, the municipality is paying for the water, lights and security. 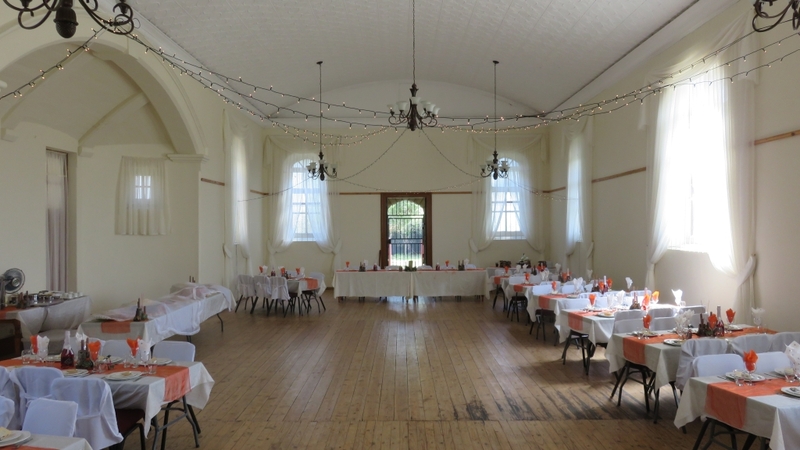 The place has had a complete face lift and all done by volunteers and donations from industry, institutions and individuals. It is a real pleasure to walk through the place to marvel at the exhibits. Well done to Quarta and her team. 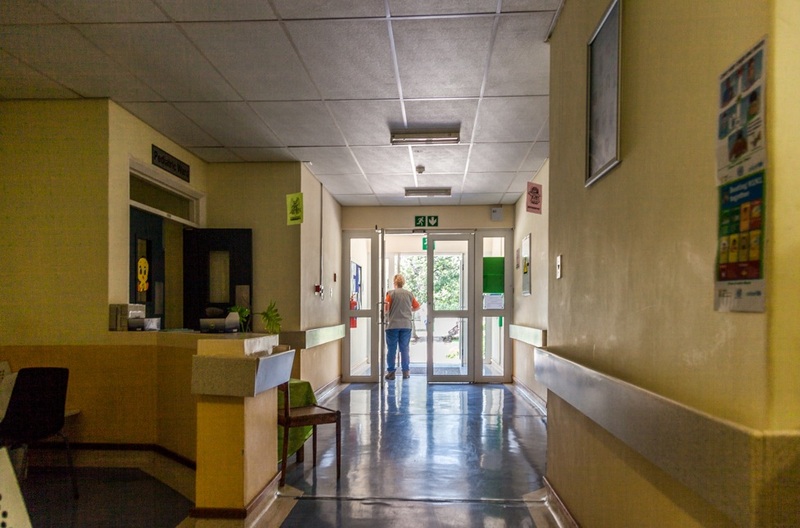 The hospital with its attractive facade was build in 1936, the archidect was Gerard Moerdyk, the designer of the Voortrekker monument. We actually went inside, to me it looked very clean and well maintained, but Pat, as a former matron, had some complaints. We weren't supposed to take pictures, thus eventually the security guard showed us the way. The cemetery is at the entrance to town coming in from the north. Interesting to wander through, there is the section dedicated to the British soldiers who died in the area during the Anglo Boer war, there are the concentration camp graves with a central monument and a section for the Jewish dead. Of note are a number of old graves over the fence towards the stream. Judging by the names on the head stones these are graves of black people. An indication that black people lived in the vicinity and occupied the area on the northern side of the stream in the early years of the town. Vegkop is the site of a battle between the Voortrekkers and the Matabele which took place in 1836. There is a lot to be written about that I decided to give it its own page, here is the hyperlink to Vegkop. 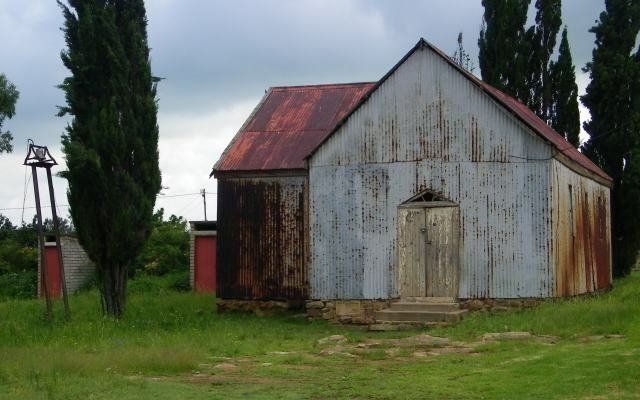 A historical farm, its official name: 'Leeupoort', not far out of town.I was going to include it in this page, but there is to much to write about, thus a separate web page has been called for. 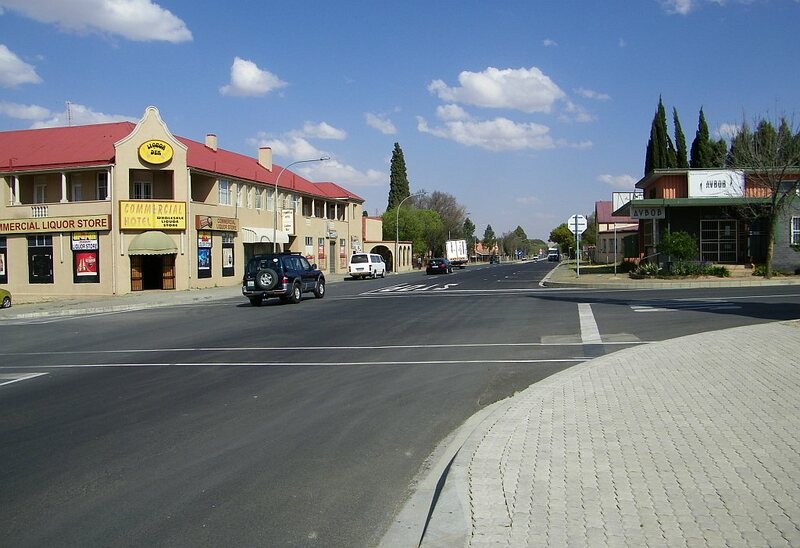 Yes, there has been progress, the main road through town which has been in a pot holy state for at least 20 years has finally been refurbished. That is what it looks like now, September 2013.